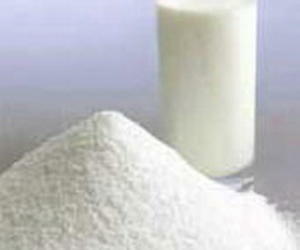 The Cuban government blames the price increase on the rising cost of importing powdered milk. Cubans are taking another hit to their wallets as the government announces an increase in the cost of powdered milk, a staple of every home with children and basic to the diet of nearly everyone on the island. The measure will not affect the state-subsidized supply of powdered milk to children aged seven and under. They receive three kilograms of powdered milk at the equivalent of 40 U.S. cents a kilogram, paid for in ordinary Cuban pesos. But at hard-currency stores, the price of a half-kilogram package will go up 45 cents from $2.90 to $3.35. A kilogram package will go up by 85 cents or from $5.75 to $6.60. These stores sell in Cuban convertible pesos (CUC) comparable to the U.S. dollar and already have a 240 percent markup on their products. The average state employee earns the equivalent of between $20 to $30 USD a month and spends up to 80 percent of their income just on food so any price hike puts the family budget into a tailspin. "Everything is difficult and this price rise will make them more difficult," said Magdalena, a 45-year-old woman who has a 15-year-old daughter and a 19-year-old son. "If prices go up in the shops, the price on the black market will also increase so we won't be able to buy as much." The black market is where many Cubans turn for items that are out of reach within their salaries. Until now a one-kilogram bag of powdered milk has sold there for 75 Cuban pesos, or about $3. "It's better I don't talk about it but one way or another. I'll find a way to give my kids milk or yogurt. But I have the advantage of working with tourists. I can't imagine what someone without access to tips or hard currency income will do," Magdalena said. The Cuban government blames the price increase on the rising cost of importing powdered milk. Octavio Beltran, the director of trade, tourism and services at the Ministry of Finance and Prices told the local media that the cost of importing a ton of powdered milk has risen from $4,720 to $5,563, generating losses on retail sales. Beltran and other officials told journalists that until now, government policy has been to avoid price hikes on basic foodstuff despite fluctuations on the international market, but implied that the recent increase has left them with no choice. They insist that subsidies for milk for children seven and under will continue even though at a lost to government coffers. Ricardo, 50, an electrical engineer with an 11-year-old son, heard about the hike on the 24-hour all-news radio station, Radio Reloj on Thursday. "Belt tightening, that's all I could think," he says. "We have to give our son milk at least twice a day and my wife and I will have to be much more careful with how we spend our salaries. We'll have to try to make the peso go further," Ricardo said. The price hike comes as President Raul Castro continues to roll out double-edged economic reforms. On the one hand they represent an opening for a private sector; on the other they are the disappearance of the paternalistic state that guaranteed every Cuban an adequate diet and other benefits whether or not they earned it.